The Arctic Council celebrates its anniversary on September 19. The organization, which regulates activities of all the states in the region in many spheres, has been operating for 21 years now. It focuses on ensuring sustainable development in the region, protecting the environment, and conserving the culture, traditions and languages of the indigenous peoples of the Arctic. The founders specifically agreed that the Arctic Council should not deal with military security issues. The Council was established in 1996 in Ottawa by the eight Arctic States — Russia, the United States, Denmark, Sweden, Norway, Canada, Finland, and Iceland — joined by six organizations of indigenous peoples. "In order to provide for active participation of representatives of Arctic indigenous peoples in the Arctic Council, six indigenous peoples' organizations have been granted the status of Permanent Participants (full consultation rights in all discussions, but no vote): the Inuit Circumpolar Council, the Aleut International Association, the Saami Council, the Russian Association of Indigenous Peoples of the North, Siberia and the Far East, the Arctic Athabaskan Council, the Gwich'in Council International," the Russian Foreign Ministry's website says. The highest body of the Council is the Ministerial Meeting (usually attended by foreign ministers), which takes place biennially. The chairmanship rotates every two years, with Russia chairing the Council in 2004-2006. Finland has led the Council since 2017. The current issues of the Council and preparations for ministerial meetings are coordinated by the Senior Arctic Officials (high-level representatives from the member nations), which hold meetings no less than every six months. The Standing Secretariat, located in Tromso, Norway, handles the administrative aspects of developing international cooperation under the auspices of the Arctic Council. The main work of the Council is done in the framework of six Working Groups. The Arctic Contaminants Action Program (ACAP) acts as a strengthening and supporting mechanism to encourage national actions to reduce emissions and other releases of pollutants. 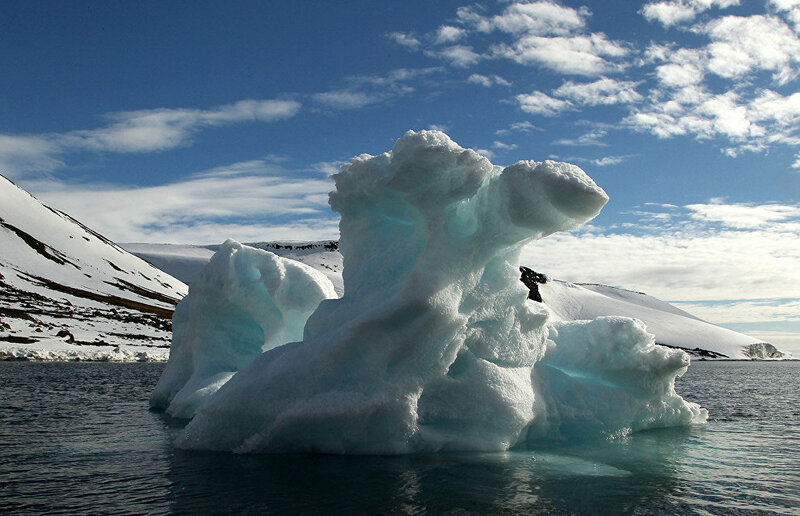 The Arctic Monitoring and Assessment Program (AMAP) monitors the Arctic environment, ecosystems and population, and provides scientific recommendations on actions to be taken in order to support Arctic governments in their efforts to prevent pollution and handle adverse effects of climate change. The Conservation of Arctic Flora and Fauna Working Group (CAFF) works to conserve the Arctic biodiversity and to ensure the sustainability of the Arctic's living resources. The Emergency Prevention, Preparedness and Response Working Group (EPPR) addresses various aspects of prevention, preparedness and response to environmental emergencies in the Arctic. The Protection of the Arctic Marine Environment Working Group (PAME) serves as a coordination center for all of the Council's activities on protection and rational use of the Arctic marine environment. The Sustainable Development Working Group (SDWG) promotes sustainable development in the Arctic and improvement of the living conditions of Arctic communities as a whole. In September 2014, the Arctic Economic Council (AEC) was established as an independent business organization of the Arctic states. It consists of three representatives from each member nation and each Permanent Participant of the Arctic Council. Russia is represented by second-tier executives of Rosneft, the Chamber of Commerce and Industry, and Sovcomflot. About 80 various projects on climate change, environment, economy, culture, healthcare, emergency prevention, and protection of indigenous peoples of the North are carried out under the auspices of the Arctic Council.